Each of those words are big in education today. They often focus on construction, manufacturing, and other hands-on jobs that pay well but are having a hard time finding skilled workers. Businesses are partnering with K-12 and postsecondary schools to introduce the next workforce to what those jobs really entail, how they can get trained quickly, and how they can start earning a good salary immediately after graduation. But what about those students with a passion for telling stories? Just like we give students opportunities to weld and build robots in school, we can also give students opportunities to practice writing as a professional organization’s voice. This experience gives students invaluable practice for whatever line of work they go into. Here are a few things that have worked well for us. 1) Find and recruit your team. We have used a couple of avenues to find students to create social media content for our district. First, we reached out to our journalism students. If you know anything about the journalism industry today, journalists are expected to use social media to get their stories read by people who don’t subscribe to a print version of the paper. 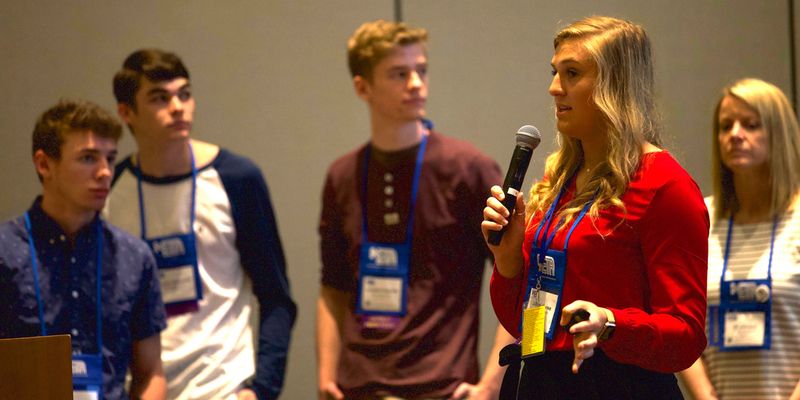 If journalism is a path students want to go down, they’ll need to practice crafting social media messages that get their content noticed and clicked on. 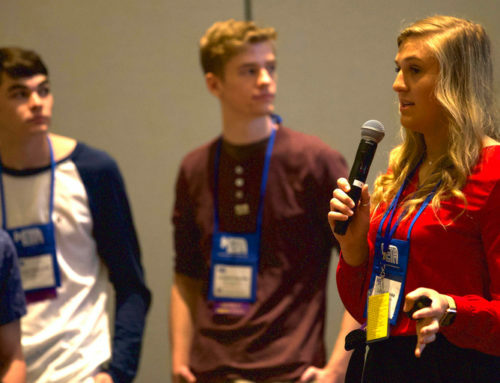 In addition to a traditional journalism class, districts have created “digital media” or “media production” classes. 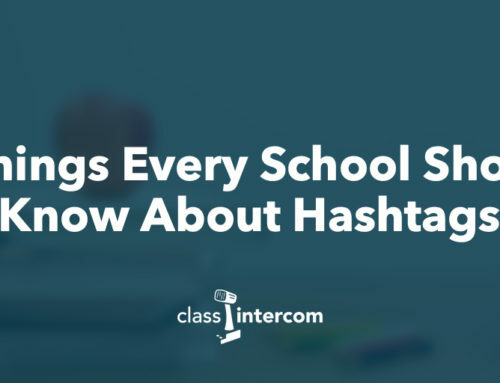 The name of the classes may differ, but their purpose is the same: develop content that promotes different aspects of the school that gets noticed online. Second, our district has an internship class that seniors have the option of taking. During “Internship A,” students meet and learn about workplace environments on Monday, then spend two hours Tuesday-Friday in an internship of their choosing. It can be in any field they choose as long as we can find a willing business. If students do a second trimester, called “Internship B,” students spend afternoons Monday-Friday at an internship, either the same one or a different one. Those options allow students to get high school credit for their work. 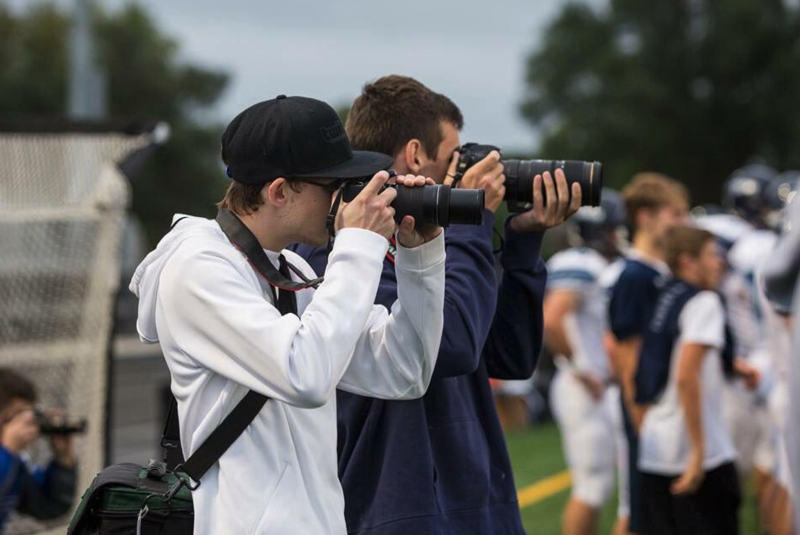 We’ve also had a student or two that took pictures at sporting events simply because they wanted an established, interested audience for their work. As we roll into spring sports, the busiest sports season for us in terms of number of events, I’ll be emailing the entire student body to see if anyone else is interested in helping do in-game posts for the district. You never know who is out there wanting to build a portfolio of work. The first high school intern we had create content for our district was going to college to be an architectural engineer. We had multiple conversations about how the professional, concise voice she was writing with for the school district could translate over to communicating with colleagues and clients. It would also help in telling the story of her own architecture company that I have no doubt you’ll hear from some day! When we get students involved, there are a few standards we always cover with them. The first is that the tone of your voice can be different depending on the platform you’re writing for. Facebook, because it has the largest percentage of tax paying adults on it, needs to be more professional than Snapchat, for example. Regardless of platform, all posts should be “pro us,” not “anti-them.” There are specific colors that you should be using when creating district content. If they go into a classroom to create content, we talk about questions you should ask the teacher. Is there anyone that cannot be photographed? What content area is this activity meeting? While you need to have guidelines and standards in place to create continuity in the messages you’re sharing on social media, there has to be a balance that doesn’t stifle the creativity of the students. 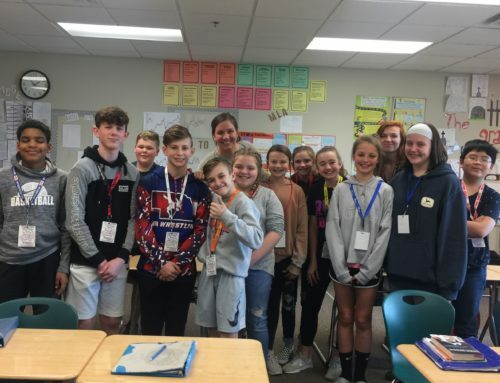 One thing I’ve learned is that when students are involved in different activities and come to you with different talents – take advantage of that! 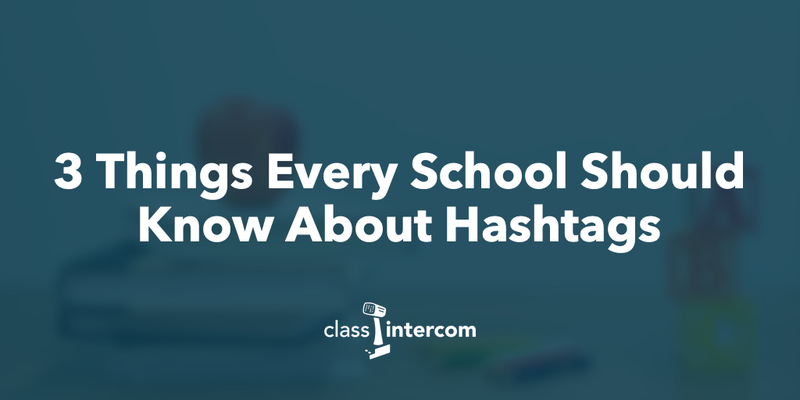 This year I have a student who was interested in creating social media posts but didn’t know where to start. When I found out she was involved in band, I encouraged her to create posts for upcoming band concerts and events. Students involved in clubs or activities are often extremely passionate about them and want the public to know the good work they are doing. I have another student who is extremely talented in Photoshop and loves sports. His work has focused on creating game day graphics and post-game highlight videos to support our athletics. If you have a student willing to create content for one piece of your district, that’s one more thing off your plate or, in our case, one more thing that gets promoted. This workflow could be done by transferring the images and text through online file storage or a learning management system, but that process would be clunky and incomplete. 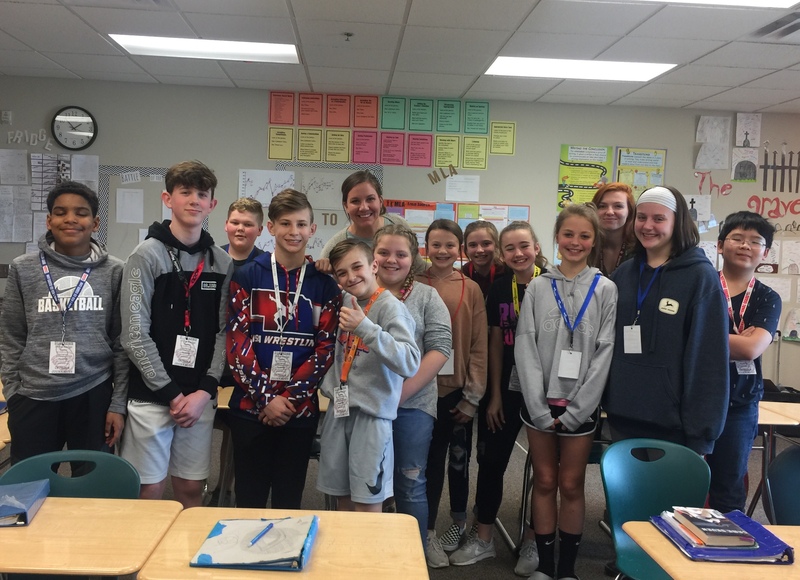 Class Intercom allows students to work in an environment that is more realistic – they can craft and execute the message, start to finish – and the teacher only needs to push one button to approve. If we didn’t have Class Intercom, I honestly don’t think I’d dedicate the time or have the patience to let students be a part of this process. We are fortunate in education that we don’t have to promote ourselves the same way regional or national brands do. This gives us the opportunity to let kids try their ideas in a less-threatening environment than when they get into a workplace. With all of the marketing and communication opportunities available for careers, why not give them real-world experience while still in school?